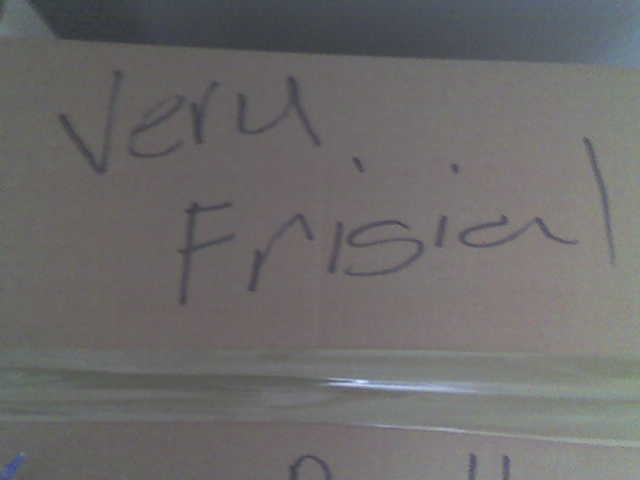 Maybe they had packed books inside that were in the West Germanic language "Frisian". 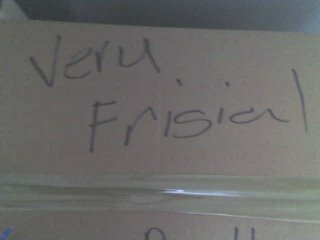 Frisial maybe is the English spelling of the language. And THAT, my friend, is why I have always loved you G-knee! You crack me up! Hey lay off us Tuckians we's all's ainting so stupide. Least we can play usen's some baskatbull. "very fragile"?????? ....cloooose...... lol hey! you left a comment a while ago lamenting that i am bad at trig. yes, it's true uncle matt, but definitely not because of you- functions are as easy to understand as cheese factories! i've been working hard at it, and hopefully i can ace the next exam- 7 days from now EEPS!